If the switch does not ask you about continuing with the initial configuration dialog, you must reset it to factory defaults. If the enable password is not set you can do the following. If an unknown enable password is set, then you will need to reset the password. Then power cycle the switch. If you cannot get into enable mode without a password, see the section explaining how to break in on the console and reset the password. It will show the initial configuration. Type yes if you got it all right, or no to re-do it. Now you need to fix the default SNMP settings, plus possibly more. Start by pressing enter to get a prompt. Note that you only need to type conf t, or you can type conf and press <tab> and then type t and press <tab> to get the IOS to auto-complete. Cisco Catalyst 2924 XL Ethernet switch. If you cannot get in with the below password, see the password recovery procedure below. Return to the main menu by selecting OK. Select INITIALIZE. This will reset the switch to factory settings and reboot the switch. Wait until the switch completely reboots before unplugging it. verify IP address and netmask settings on the switch. verify IP address, netmask, and default router settings on the switch. If you have changed the IP settings but still cannot contact the switch with ping, and it is a 3Com, try power-cycling the switch. verify the SNMP community string on the switch. You must use SNMPv1 with this device. This is unfortunate, as you cannot use snmpbulkwalk or snmpbulkget, which are much more efficient. Press the Mode button (left side of front panel) and keep it depressed. When the LED above Port 1x goes out, release the Mode button. The switch should now present you with the initial configuration dialog. You are ready to configure the switch. Enter recover as login name and password. Then perform a "hard reset" by power cycling it within 30 seconds. It will reboot into password recovery mode and you can enter a new administrative password. Put the firmware on a TFTP server. 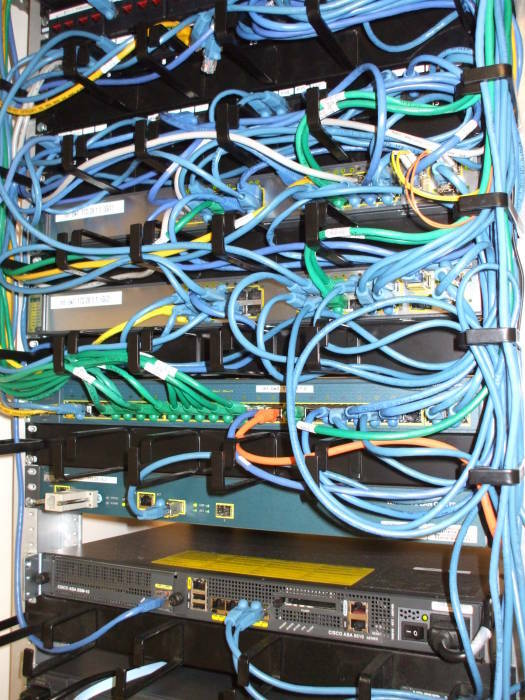 An alternative is to plug the switch into a managed stack and then reset the passwords for the entire stack. 9600 baud, 8 bits of data, no parity, 1 stop bit ("8-N-1"), hardware flow control. You may need to configure the serial port to keep the switch happy. If the USB port puts the serial port into an odd state, the Cisco switch will not complete booting with a faulted console port. With minicom run minicom -s, set up the serial port, and tell minicom to initialize the port.